Today, the Supervisory Board of the Special Economic Zone «Innopolis» under the chairmanship of the President of the Republic of Tatarstan Rustam Minnikhanov approved 7 applications for the conclusion of agreements on the activities of companies as residents of the SEZ and 2 applications for the status of a partner of SEZ «Innopolis». 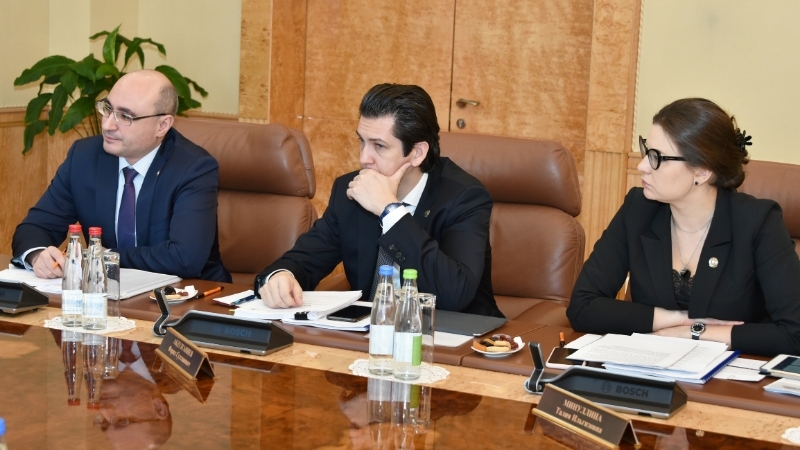 The Head of Tatarstan Investment Development Agency, Member of the Supervisory Board of JSC «Special Economic Zone of Technical and Innovative Type «Innopolis» Taliya Minullina took part in the meeting and voted for the implementation of promising projects. «SEZ «Innopolis» is a center of business activity with preferences, tax benefits and developed infrastructure. Investors from high-tech industries choose «Innopolis» and point out well-functioning work. Thus, the projects that we have considered today are related to IT, oil industry, advertising and HR. The total amount of investments is 660 million rubles. The investors are focused not only on Tatarstan and Russia. The launch will take place this year», - Taliya Minullina shared. Residents of SEZ «Innopolis» are provided with special tax conditions with low rates on insurance, income tax, property, land and transport. There is also a special customs regime: residents can import goods from abroad at low customs fees without paying VAT. So, on particularly favourable terms, the center for technological development of X5 Retail Group will be created with the aim of development of key IT competences and innovations. «Search Inform Integration» LLC will be engaged in development, implementation, maintenance and provision of simple licenses for the use of software solutions for information security. «Magnet IT Lab» LLC is implementing corporate mobile device management system EMM TanderStore in Innopolis. LLC «VRM GROUP» will develop a system of virtual assistance and training for working professions. LLC «Alloka Analitika» will be engaged in development of a complex software product on increase of efficiency of marketing and quality of work with clients for businessmen and small and medium business companies. LLC «TGT Service» is planning to create an automated system for visualization and analysis of wells geophysical studies data, as well as geophysical data storage and results of their processing on the basis of «Innopolis». LLC «Research radius» will develop management systems for forecasting models, sales strategies and advertising campaigns in the SEZ. «Diginavis» and «Resource» companies will get the status of resident of SEZ «Innopolis». LLC «Diginavis» will invest in breakthrough development in the field of «cross-cutting» digital technologies. Thus, the quality of life of people in Tatarstan and Russian is planned to be improved with the help of artificial intelligence, machine learning, unmanned transport introduction. LLC «Resource» will provide hi-tech solutions in the field of selection and search of personnel.